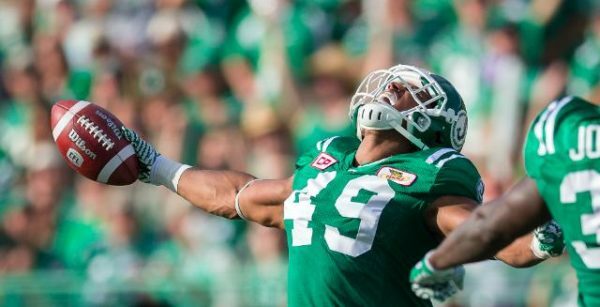 Tampa has once again dipped into the CFL for players, this time it is linebacker Jeff Knox Jr. Knox was an undrafted rookie out of California University of Pennsylvania in 2015 that wound up signing for the Saskatchewan Roughriders. During his 35 games in the CFL, Knox recorded 177 tackles, one interception, and a sack. He is the 11th player signed to the future reserve and the second CFL player following Derel Walker to be signed this offseason thus far. Tampa has had some luck in the past when dipping into the CFL for linebackers as the Buccaneers had signed Shelton Quarles in 1997 after he spent a couple of years with the BC Lions. The Buccaneers Sign CFL LB To Futures Contract. Shelton Quarles is the Best UNDRAFTED Free Agent Signing in Buccaneer’s History? The Buccaneers sign DE Larry Webster III. Donteea Dye placed on I.R. and Bernard Reedy activated. Next articleRaiders headed to Vegas?